All too often wisdom is associated with how many years we have lived, rather than the lessons we have learned. Logic says that the older we are the more experiences we have and therefore, the more wise we must become. But we only gain wisdom when we learn from our experiences and to do that we must reflect, explore and contemplate. 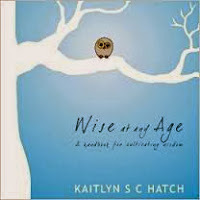 Wise at Any Age invites the reader to explore the many avenues to gaining wisdom, regardless of age. It is written in an accessible way, and includes a multitude of different tools and paths to appeal to all learning types.